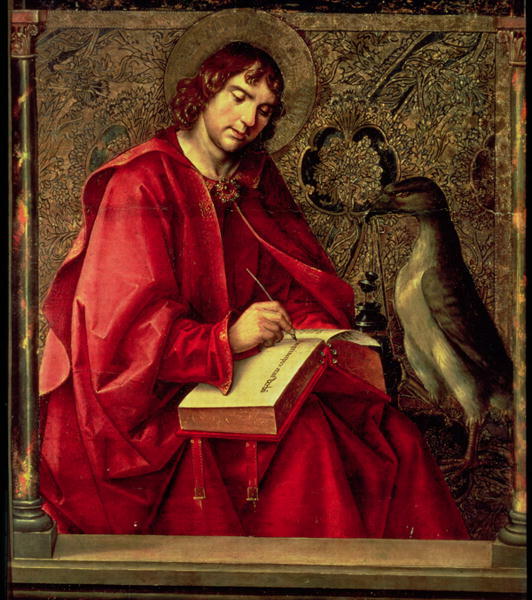 Saint John the Evangelist was the youngest of all the Apostles. He was twelve years younger than Our Lord and was eighteen years old when he became a disciple of Jesus. Saint John was the brother of Saint James and the son of Saint Mary Salome. He is called by God’s own inspiration, “the disciple whom Jesus loved.” On Mount Calvary, he was given charge and care of the Blessed Virgin, the day Jesus died. Saint John the Evangelist was the Blessed Virgin Mary’s priest. He said Mass for her every day. He listened to her say the (si)Magnificat(ei) every morning after she had received her Divine Son in the Holy Eucharist. 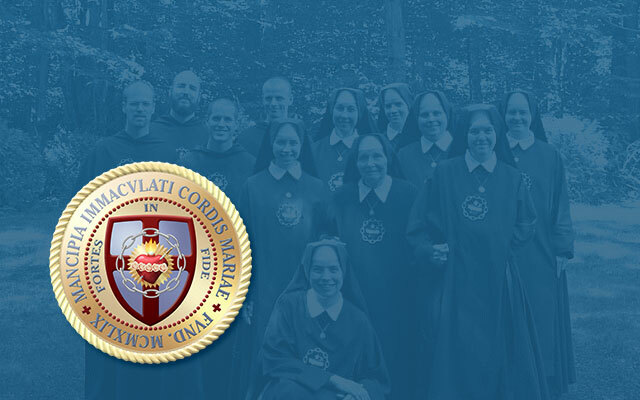 He was the priest who put back into the mouth of the Mother of God the Precious Body and Blood which came from her womb, divinized by the Second Person of the Blessed Trinity. Saint John the Evangelist wrote the fourth Gospel, three Epistles and the Apocalypse: one historical book, three doctrinal books and one prophetical book. After the death of the Blessed Virgin Mary and her Assumption into Heaven, in the year 58, Saint John went to Ephesus. He preached in Asia Minor with such intensity and with such fruits that a Roman Emperor had him dragged over to Rome. In the year 95 he was tried in Rome and condemned to be thrown into a cauldron of boiling oil, which by God’s Providence did him no harm. He was then exiled to the island of Patmos, where he wrote the Apocalypse in the year 95. He then returned to Ephesus where he wrote the fourth Gospel in the year 96, and later his three Epistles. He died at Ephesus in the year 100. He was eighty-eight years old when he died. No relics of him remain. His body was assumed into Heaven with his soul. Saint Robert Bellarmine assures us of this great fact.